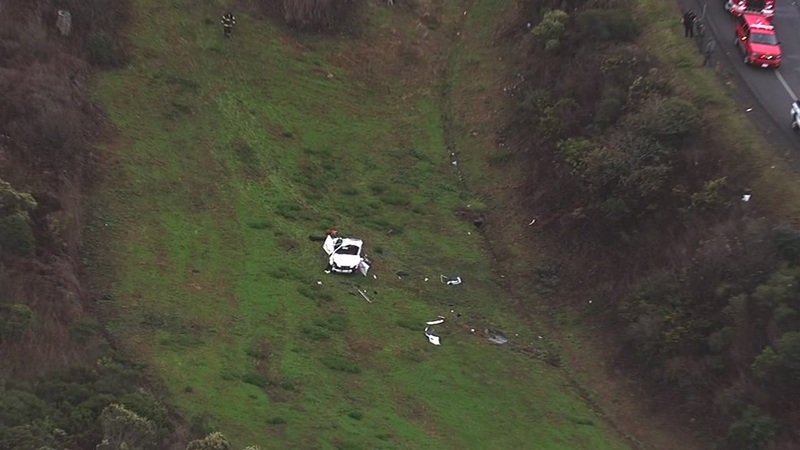 SAN FRANCISCO (KGO) -- The CHP says a car went over an embankment off Guadalupe Canyon Parkway near North Hill Drive in Brisbane early Tuesday morning. Hikers spotted the car after 8 a.m. and called for help. The driver had been trapped for some time and couldn't reach his cellphone. He was taken to the San Francisco General Hospital with major injuries.